Riverside Medical Group (Edgewater) - Book Appointment Online! 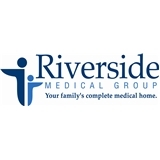 Riverside Medical Group is the Premier Adult Medical Practice in Northern New Jersey. Riverside Medical Group embraces the "Riverside" way and offers to young adults, parents, and grandparents the unique care that Riverside Pediatric Group has been providing to the children of Northern New Jersey for over thirty years. Riverside Medical, like its sister organization, Riverside Pediatric Group, has adopted the same principle of providing a "Medical Home" to its patients, where our physicians go beyond their conventional role as "intermittent" providers of care at brief patient visits for isolated issues and, instead, take an active role in determining and managing our patients' plan of care. We provide unparralled access to our physicians with extremely accessible office hours six days a week throughout Hudson and Bergen county. I set an appointment for ZocDoc, called ahead to see if I could come in earlier, the ladies at the front desk said sure. I was checked in and immediately taken inside to see the doctor. Dr. August was lovely. She listened to my concerns, prescribed what needed to be prescribed, and was very friendly. I think I finally have found a Doctor I can stick with it. I highly recommend her.